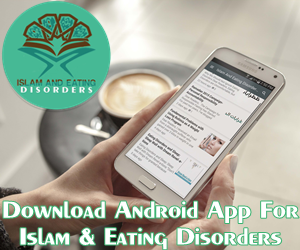 How National Health Services/Recovery Clinics can make Eating Disorder Recovery Programs more compatible and more inclusive for Muslims. How to Do Recovery When You Don’t WANNA Do Recovery! I’ve received quiet a few Emails on portion Sizes. Some people have been unable to access the BUPA UK’s webpage from their home country. I’ve copied the information below for your use. If you have been diagnosed with an eating disorder, you may have been referred to a registered dietitan/nutrionist in your area to help you develop a customized meal plan. An eating disorder recovery meal plan is must in your recovery. It’s important to follow the advice of your physician and registered dietitian. This meal plan is the basis of your recovery; without it, you will not be able to recover. Please find below guide on portion sizes by Bupa UK. I was taught about portion sizes at the Eating Disorder Unit in England. I remember my nutritionist telling me that these portions are the minimum serving of what one should be having every day. Example My minimum serving of Evening Meal: Six Tbsp of Rice (This is 75 grams of rice) with 4 Tbsp of lentils was perfect. Add a serving of Yogurt and a serving of Salad (80grams) and i had a complete Evening Meal. When I started looking into Islamic Eating Guidelines, 1/3 Food, 1/3 Water and 1/3 Air, I learned that these portion sizes fitted perfectly well with the Islamic portion sizes. You were simply eating in moderation, in a balanced way and meeting all your daily dietary guidelines. Below the pyramid are examples of how much the various serving sizes consist of. No matter how healthy the food you eat is, you can still be at risk of serious health problems if you eat too much or too little for your energy needs. If you’re overweight despite sticking to a healthy, balanced diet, chances are you need to cut down your portion sizes. Here we outline recommended portion sizes and amounts for an average adult aiming to maintain their weight. If you’re aiming to lose excess weight, you will need to eat fewer portions than this. Please note, the portion sizes and numbers in this article are calculated using published guidelines that estimate an average person’s nutritional and energy requirements. Starchy foods are our main source of energy and should form the basis of every meal. The following amounts count as one portion (however, you will usually have more than one portion at each meal). If you’re trying to maintain your weight, it’s best to aim for between two and four portions with every meal (to add up to eight to 10 for one day). So, some typical amounts for one meal may include the following. A day’s amount may include nine tablespoons of cereal for breakfast, a sandwich for lunch and six tablespoons of rice with dinner. Try to go for wholegrain or wholemeal versions of starchy foods as they are likely to keep you feeling fuller for longer. Remember you can adjust these amounts to suit your own needs. If you’re trying to lose excess weight, only eat about five to eight portions per day, which will mean that the amount you have at each meal will be smaller. And if you decide to include most of your day’s quota of starchy foods in one meal, cut down throughout the rest of the day. This group includes non-dairy sources of protein, which is important for growth and repair. Try to include one portion in at least two of your daily meals. One portion counts as the following. A day’s worth from this group might mean two eggs with breakfast and a piece of fish for dinner; or a chicken salad for lunch and half a tin of baked beans with dinner. Try to limit your intake of red and processed meat because they can be high in saturated fat, which can raise your cholesterol and cause heart disease. Dairy foods contain calcium for healthy bones and teeth, and are also a good source of protein. Try to include one portion with every meal, and go for lower-fat options when you can. A portion includes the following. The milk on your cereal and in your tea all counts. Go for lower-fat cheese and yogurts, and skimmed or semi-skimmed milk. These contain just as much calcium as full-fat versions. Have a glass of fruit juice with your breakfast and snack on fruit throughout the day. If you have a sandwich at lunchtime, include some salad as it will contribute towards another of your five a day. Foods high in fat include butter, cream, chocolate and cakes. Foods and drinks high in sugar include soft drinks, sweets and biscuits. Only eat foods from this group sparingly. Many people are surprised when they realise what a typical portion size should look like. If you’re used to piling your plate high with pasta or filling your bowl to the brim with cereal, it can come as quite a shock. But once you cut down, you’ll soon get used to eating less. Here are some general pointers if you think you need to cut down portion sizes. Use smaller plates or bowls for your meals. A small plate full of food is much less disheartening than a large plate that’s half empty. You don’t need to cut down on your fruit and veg if you’re trying to lose weight. So if your plate is looking a bit sparse, fill it up with vegetables. And if you’re craving a mid-morning snack, go for a piece of fruit. Think about everything you eat during the day. It’s easy to forget the biscuit you had with your tea at work or extra slice of cheese in your sandwich. Counting calories and weighing food is no fun and hard to keep up. Instead, compare what you usually eat against this guide for a week or so and you can start to identify areas where you’re eating more than you should. Produced by Rachael Mayfield-Blake, Bupa Heath Information Team, November 2012. Planning your meals is a very good thing to do thus it will help you track the amount of food you are eating and calculate when you should stop eating something for eat something else ..
My brother recommended I maay like this blog. You ccan nnot consider just how a lot time I had spent for this info!